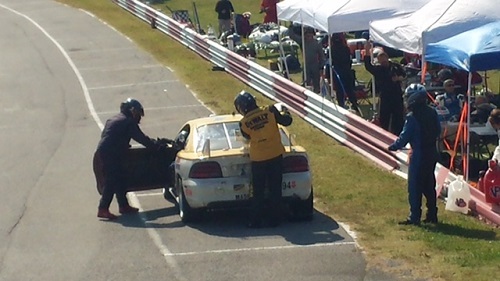 There are plenty of endurance races available to anyone who wants to race $500 junkyard relics. There are also some endurance races available to drivers who want to race million dollar prototypes. But the options are pretty limited for those who want to race something in between. A cavernous gap separates the numerous entry-level $500 series and the high-end Weathertech Sportscar Champonship, which offers only four events of six hours or longer. For some time, North America has been starving for a good endurance racing series to fill that chasm. Enter the World Racing League. Now beginning its third season of operation, the WRL boldly goes where no series has gone recently — into the mid levels of amateur endurance racing. The series offers a full 15-race schedule and racing from coast to coast at some of the finest venues on the continent, including the Circuit of the Americas, Mid-Ohio, Virginia International Raceway and Texas World Speedway. The WRL’s power-to-weight classing system makes the series affordable, yet clearly more professional than the varioius $500 racing series. The WRL is open to experienced drivers and those who have passed an approved driver’s course. The result is the cleanest contact-free racing this author has ever experienced. Financially, the series allows a broad spectrum of participants to be truly competitive with little regard to wallet size. I’ve seen $3000 Mazda Miatas win races in the WRL’s third and fourth-tier classes. Last year, Shaky Dog Racing scored consecutive GP2 wins in a 1990s-era, 302-powered Ford Mustang. Granted, these cars are well maintained by experienced race teams and retrofitted wiith go-fast gizmos, but the point remains. You don’t need an obscene wad of money to win races. For those who want to spend more, the premier class features $60,000 Porsche Boxsters, $80,000 race-prepped Porsche 944s and several less expensive but very competitive Corvettes and BMW M Series machines. The GP1 cars are frequently driven by some of the best amateur drivers in the country, as well as professionals, like former IndyCar regular and Daytona 24-hour champ Ross Bentley. “We’re trying to keep it simple, short and sweet,” series President Joey Todd said of the WRL’s 16-page rule book. “And we’re upping our game on the tracks that we’re visiting this year. Circuit of the Americas in February is the kickoff for the season. I guess you could call it America’s premier road course. It’s a beautiful facility, and everyone wants to be on it. We’ve added Mid-Ohio, as well, and Virginia International Raceway. Future plants include a national championship race at a premier track, as well as full slate of 24-hour race events. “We’re trying to give everybody a world-class endurance racing experience but still keep it on an amateur’s budget,” Todd said. Maybe it’s not IndyCar or NASCAR. Maybe endurance racing is poised to be the next big thing in motorsports. Thanks to the emergence of the $500 budget series and the World Racing League, the American endurance racing ladder is more complete and well-defined than it has been for decades.